This Working Group will identify and discuss how blockchain technology will disrupt asset management as a systematic process of developing, operating, maintaining, upgrading, and disposing of assets cost-effectively. Local, state (provincial), national and international government employees, along with members of the Government Blockchain Association, are invited to participate in a Working Group to study the opportunities and risks of blockchain technologies when applied to government budgeting, appropriations and tracking. This groups studies the legal, regulatory, financial, technical and the many issues regarding the complex framework of constraints and opportunities around the cannabis industry for medical, recreational and numerous other uses. The Contract Management Group studies opportunities to use blockchain technologies to improve contract management and payment practices. Identifies, studies, and develops informative materials to improve the body of technologies, processes and practices to protect information technology assets such as networks, computers, programs and data from hostile attacks, damage or unauthorized access. The goal of the Blockchain and Cryptocurrency Economic Analysis Working Group is to evaluate the economic impacts of technologies involving blockchain and to offer impartial economic advice. 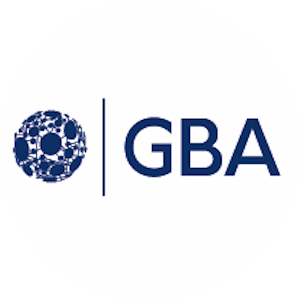 The Education and Training Working Group advises GBA staff in the direction and guidance on the long-term education and training goals and objectives of the Association. The Committee’s Major Role will be to establish and maintain the organization’s Common Body of Knowledge (“GBA CBOK”) and relate this CBOK to the GBA training and certification programs. The instructional design of the core curriculum shall focus primarily on addressing the educational needs of blockchain professionals to develop and advance their careers. The purpose of the Energy Working Group is to identify unique problem sets and challenges faced by public and private entities regarding energy supply, distribution and regulation. The group will explore innovative blockchain and distributed ledger technologies to address these challenges to increase the efficiency, security, resilience and sustainability. The Working Group studies opportunities to use blockchain technologies to improve a variety of financial system practicalities. This working group focuses on the current day and emerging regulatory demands and impacts to compliance programs with Blockchain technology and the financial and payments sectors. This working group encourages Blockchain companies, government regulators, law enforcement, and professionals in the financial regulatory and financial crimes space to join and contribute. The purpose of this working group is to identify an information architecture to facilitate the integration and interoperability of blockchains across different levels and functions of governments. The GBA Healthcare Working Group (HWG) focuses on applications of blockchain technology to the needs of the healthcare sector. The purpose of this group is to work with the many identity management organizations, frameworks and standards and try to bring the blockchain solution providers together around common protocols to identify people, places, and organizations while protecting the privacy of individuals. This groups studies how you can make the needed information while protecting the sovereignty of the identity data. Exploring applications of blockchain technology to facilitate use of standard Software ID Tags (SWIDs) to manage the disposition of end-user software products and licenses. This working group explores blockchain technologies to address land titling and insurance use cases around the world.